Water glyph is another reason for the mix up over Aquarius’ ruling element. 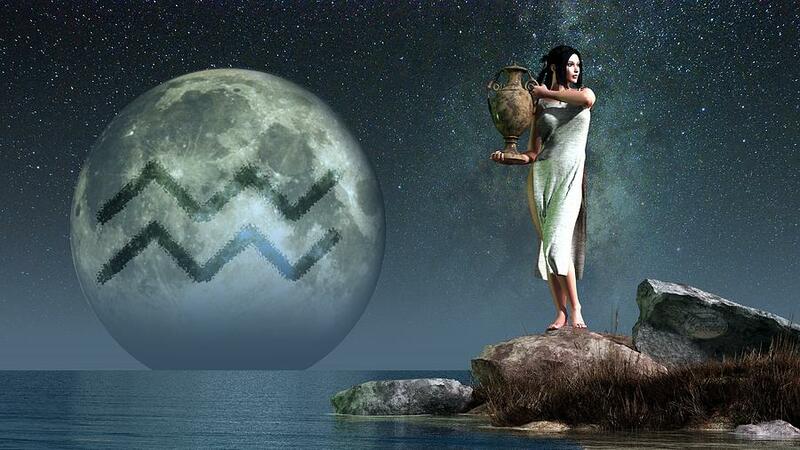 Aquarius’ symbol is a sign of water, but Aquarius’ in an air sign. This glyph represents water, specifically the water that pours out from the water-bearer’s pitcher in the constellation. It’s symbolic of the Aquarian knack for recognizing the direction energy is flowing in their lives and environment. The glyph is reminiscent of an equal sign, which is fitting. The Aquarian character is replete with paradoxes and polarity. The equal sign is a reminder that Aquarius can live a whole, balanced life... even though they often experience opposites sides of life’s spectrum. The equal sign is also a reminder of Aquarius’ tendency to advocate equality for humankind. Air: As mentioned, Aquarius is an air sign (not a water sign). Air, like Aquarius is symbolic of a diverse array of things...to name a few: Dreams, intuition, the mind, communication, higher ideals. Think of the element of air like a wireless signal - unseen, but relaying lots of data from one point to the next. In many ways, Aquarius does this in most, if not all of the categories aforementioned. Air is also omnipresent - this correlates to Aquarius symbolically. Why? Because Aquarius’ tend to be acutely interested in big, expansive issues. We’re talking global issues for sure, and they may be concerned about the universe, the cosmos. Air (and their partners, birds) are also symbolic of new vision and discoveries - things that a healthy Aquarius can really get behind. Orchid: Once upon a time, on my Zodiac Flowers page, I made this statement about orchids energetically linked with Aquarius: "My uniqueness is my effectiveness". I love that statement, because I think it quintessentially sums up the bond between this flower and Aquarius’ personality. Why? Because the orchid is incredibly unique, and it uses that uniqueness to its advantage. So does Aquarius. The orchid stands tall and seemingly proud of its uncommonness and individuality. So too does Aquarius. I rather think the orchid and Aquarius are proud to be different - they march to the beat of their own rhythm, holding strong to their core roots. They often do this with no care or regard to what others may think of them. In my opinion, Aquarius’ and orchids’ penchant for unorthodoxy is their crowning feature. Amethyst: Aquarians already have a keen intuitive instinct. Amethyst will heighten that natural perception. Amethyst is symbolic of intuition, love and fidelity. Aquarians jive with these qualities because they too express devotion (especially in friendships). Amethyst is a quartz, which is symbolic of clarity and higher vision. These qualities resonate with Aquarian idealism. Amethyst is violet in hue, which matches the vibration of the crown chakra - an energy center Aquarius uses a lot. This is the color and energy that taps into awareness, and pushes the barricades of boredom because it allows the wearer to see beyond the mundane. Water Bearer: The figure pouring water out in relation to Aquarius personality deals with many themes. One of these is the idea of gathering and dispensing what has been gained with equality and neutrality. In other words, Aquarius seeks knowledge, truth and information. Once obtained, this sun-sign is eager to pour out the wisdom to the community. Water is symbolic of lots of things, including cleansing and healing. The water bearer is an expression of Aquarius’ tendency to cleanse themselves, their community and even the world. 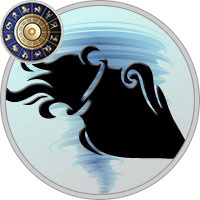 Specifically, Aquarius thrives when he or she has the chance to dispel mistruths or misunderstandings. To clean the world of errant thinking is a noble goal in Aquarian minds. The water bearer is also a symbol of service, a position many Aquarians easily find themselves in.